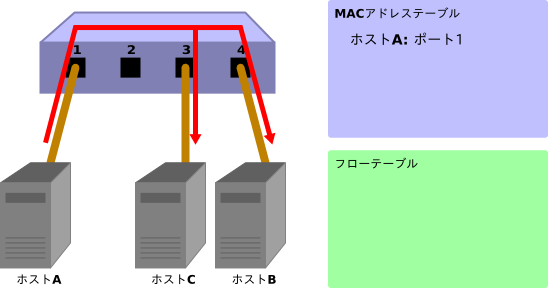 # initialize mac address table. # install the table-miss flow entry. # construct flow_mod message and send it. # get Datapath ID to identify OpenFlow switches. # analyse the received packets using the packet library. # get the received port number from packet_in message. # learn a mac address to avoid FLOOD next time. # decide which port to output the packet, otherwise FLOOD. # install a flow to avoid packet_in next time. # construct packet_out message and send it.